This advanced course is designed for students that have completed the 5 day course and want to continue their learning, or existing locksmiths with previous experience that want to further their skillset into the non destructive world of picking mortice locks. This will ensure each delegate will learn how to pick and non-destructively open many types of mortice locks that are popular in the outside world. Our students will understand the workings of the mortice locks with tricks and tips on each type of lever, therefore how to open them when no keys are available. We aim to provide you with the solid grounding you need to expand your current skillset. The course offers intensive training over a 3 day period with a maximum of 5 students per course. The course is 90% practical to ensure you know how to put the theory into practice. 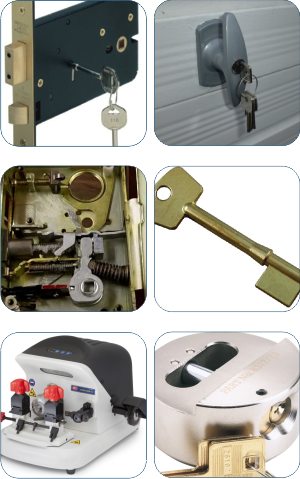 Upon completion of the course you will have the ability to continue practicing as a knowledgeable locksmith and have an in-depth ability to work on the locks trained on. You will also receive a detailed instruction manual and training certificate. This course can be attended as a standalone advanced course for locksmiths with previous experience or as the second part of your training package which is added to our 5 day Intermediate course making the 8 day Intensive course. This course is ideal for general public who have previous experience in the locksmith industry looking for additional skillsets into a niche market with a high level of technical content and good rewards. Is also ideal for students that have previously attended the 5 day Intermediate course or wanted to complete the 8 day Intensive course and either could not attend 8 consecutive days (not including weekends) or wanted a break between the Intermediate and Intensive elements of the training.